Small hand held cloth cutting machine specially made for left handed people with round knife blade and carbide tipped bottom blade for scissor like precision cutting. 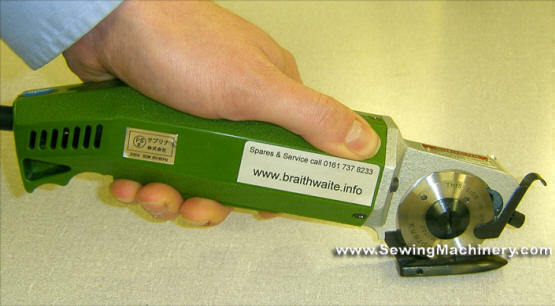 Specially made cloth cutter for left handed users. Fitted with standard 3 pin plug. Genuine Suprena HC-1007L left handed machine. Comes complete with carry case, tools, spare blade & instructions. Large stock of Suprena HC1007L spares & blades available from our parts dept.